3-room villa 120 m2, on the ground floor. Spacious, renovated, beautiful and modern furnishings: large living room with open-hearth fireplace and satellite TV (flat screen), air conditioning. Exit to the garden. 1 double bedroom. 1 room with 2 beds and 1 pull-out bed. Open kitchen (oven, dishwasher, microwave). Exit to the garden. Bath/bidet/WC, shower/bidet/WC. Heating (extra). Patio partly roofed. Barbecue, sitting area. Facilities: washing machine. Internet (WiFi, free). Reserved parking (roofed, 2 cars). 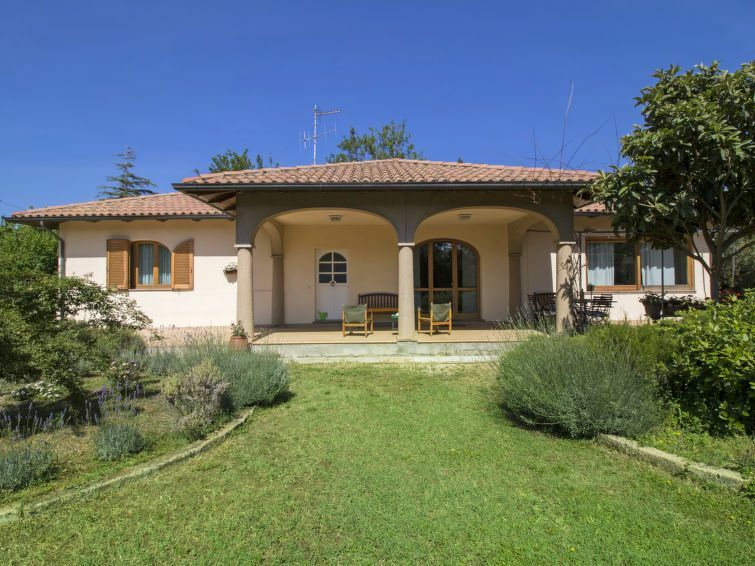 Modern villa San Bartolo, detached, renovated, surrounded by fields. 2 km from the centre of San Vincenzo, in a sunny position, 2 km from the sea. Private: garden 2'500 m2 (fenced), natural garden, swimming pool (above ground) (8 x 4 m, depth 120 cm, 20.06.-30.09.). Pergola, garden furniture, barbecue. In the house: internet access, washing machine. Roofed, parking (for 2 cars). Grocery 2 km, supermarket 1.5 km, restaurant 1 km, sandy beach 2 km. Marina 2 km. Nearby attractions: Baratti, Populonia, Bolgheri. Please note: main road 100 m from the property.